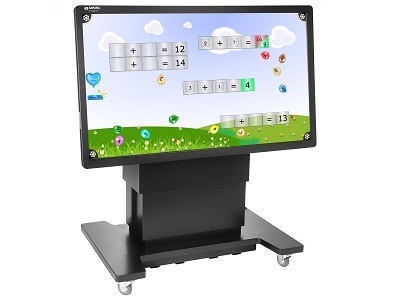 The Clevertouch fusion is a combination of a 55" Full HD 32 point touch screen and an electric height adjustable mobile trolley with swivel feature allowing the screen to used as touch desktop. The Screen comes with an integrated I5 PC along with a toughened 4mm anti glare screen. Integrated Wifi, speakers and multiple VGA & HDMI Connections make the Fusion a complete classroom solution. We have access to demonstration products and loan units, AV Installs can arrange for the screen to be demonstrated at your premises or you can come in and see it in our new demo suite. Please call us on 01604 493755 to book a free of charge demonstration! AV Installs Ltd also provide a complete range of professional installation services for all makes of Interactive screens for more details contact us. 55" Full HD LED Screen. Freeze frame and USB playback.